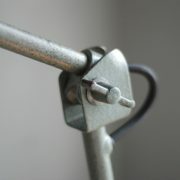 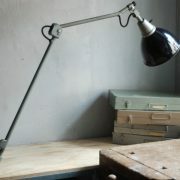 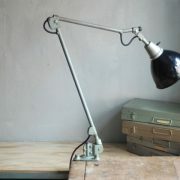 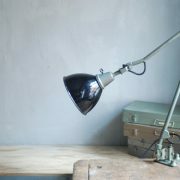 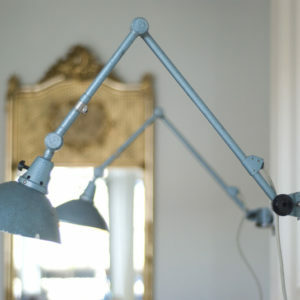 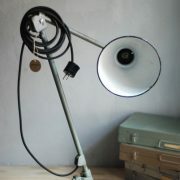 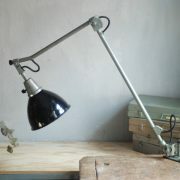 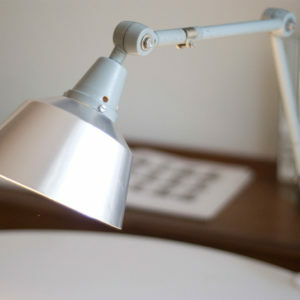 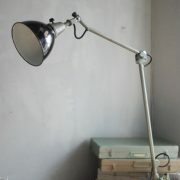 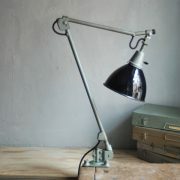 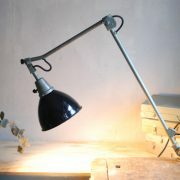 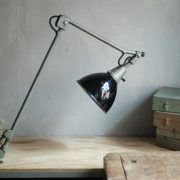 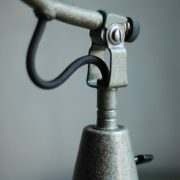 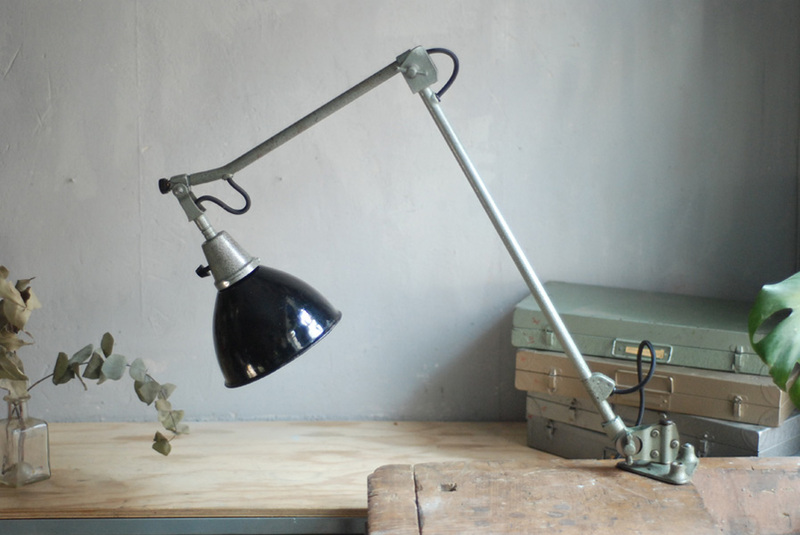 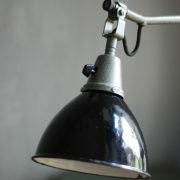 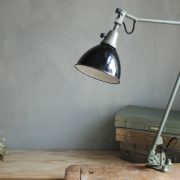 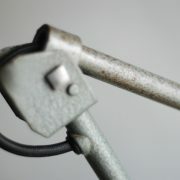 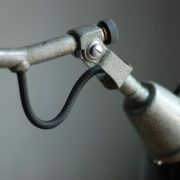 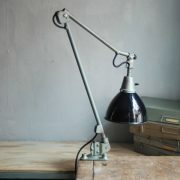 Task lamp Midgard 121 greygreen hammertone coated with enameled shade from another manufacturer. 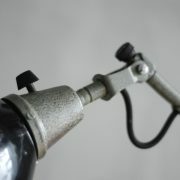 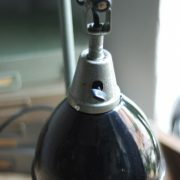 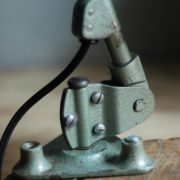 After the thorough dismantling of all elements, the lamp was cleaned, sealed with oil and rebuilt again. 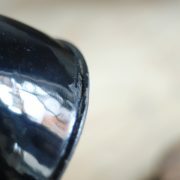 All the small parts have been cleaned, polished, oiled. 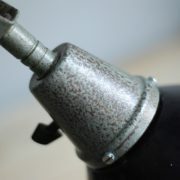 Its condition is used but good. 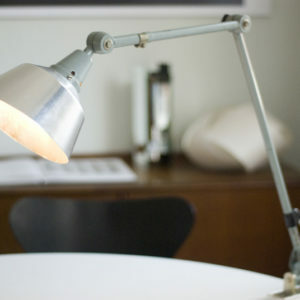 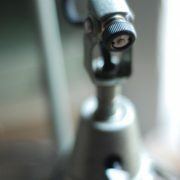 The lamp has signs of wear consistent with its age and use. 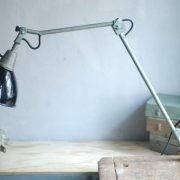 Arms, table base and the shade shows losses of paint and enamel. 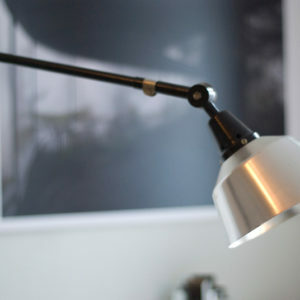 The lamp is engraved with Midgard at the base.